It's been several months since my last post, some of you thought I had the blog retired altogether. Well, this is not true, but there was not so much time or peace of mind to write about something... about anything... Everyone talks about missing time, time badly spent, resting not as much as everyone should and taking too many responsibilities in everyone's hands. These are also all true for me this passing 6 months and I now know I should have kept up with photo news and updates because I lost some good news. And of course, I also need to shoot some more successful images for my photobank accounts and make my work available for calendars and high resolution prints in large sizes. I am also planning of making some large prints in limited editions, small office calendars and a limited edition photobook containing my latest fine art project. New demanding duties for my job, Greece's Debt crisis which is still not over, less time and money to travel and no clear state of mind to exercise photography as much as I would like to, have brought my photo production for this year to the worst period ever since my first owned DSLR. I could not have practiced reportage photography these last few months out of respect to the people struggling on ATM queues under the hot sun (although there's a debate on how helpful this might be for the general good), or the Syrian refuges, the poverty and all the disrespect some people show when they are on vacation for the environment and for other fellow citizens of this world. However keen I was on exposing all of these, I could simply not allow myself to agitate all those in need, or ruin my few vacation days over those arrogant who think the world is a giant trash bin. I've had some arguments though, only to confirm my words went wasted once more, so I gave up. They say we are worth what we have become and I could not have given this thought too much credit these days. 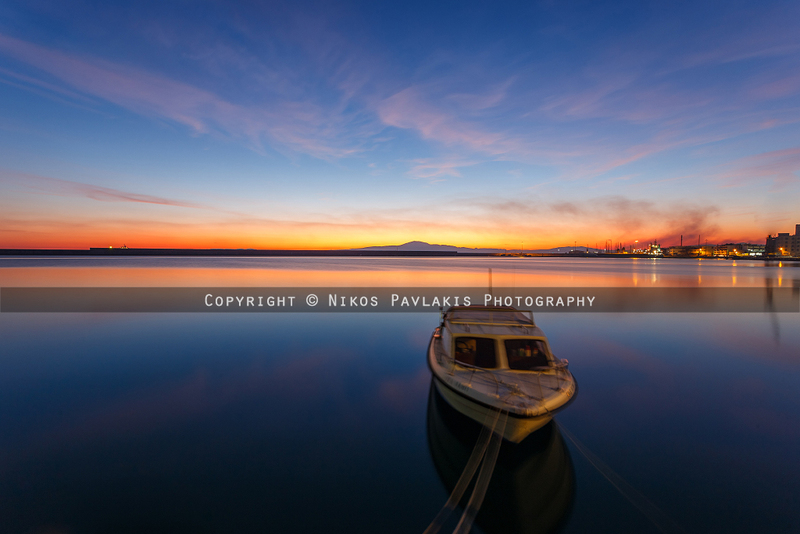 December 2014, Lavrio. Sunken boat broken in half. 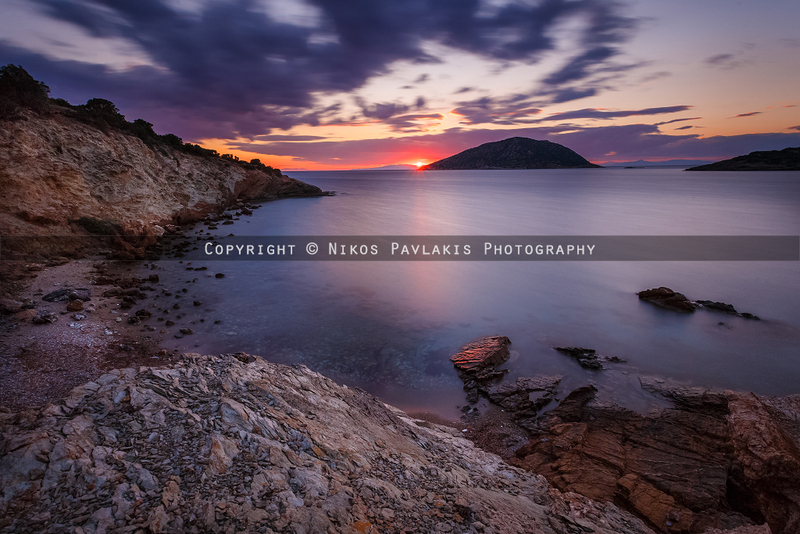 December 2014, Lavrio. Contrast is amazing, giving depth to the seascape ahead. 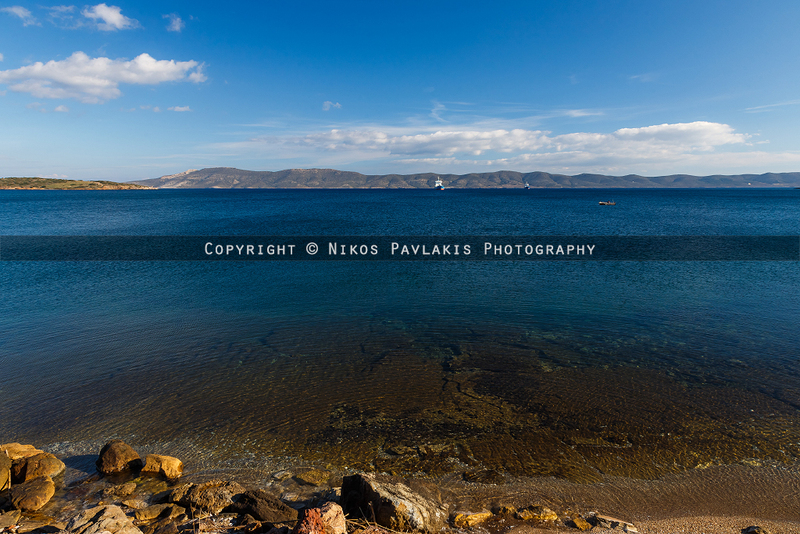 December 2014, Lavrio. 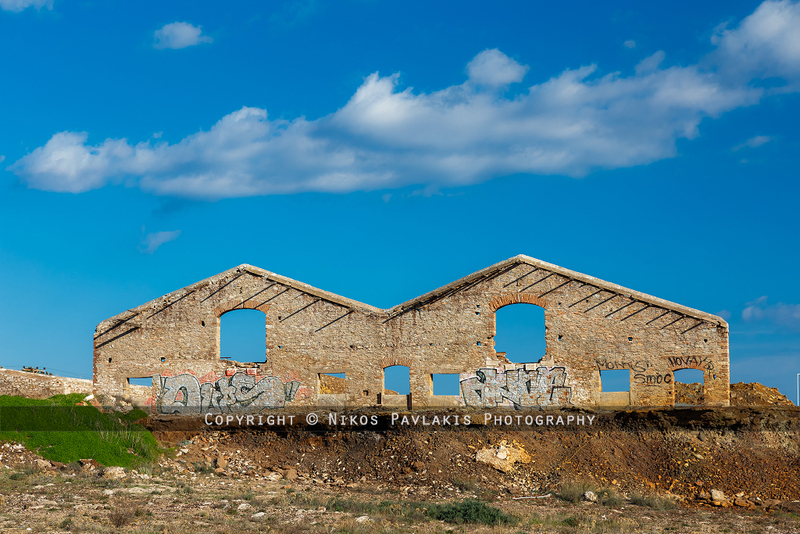 The remnants of an old warehouse near the port. 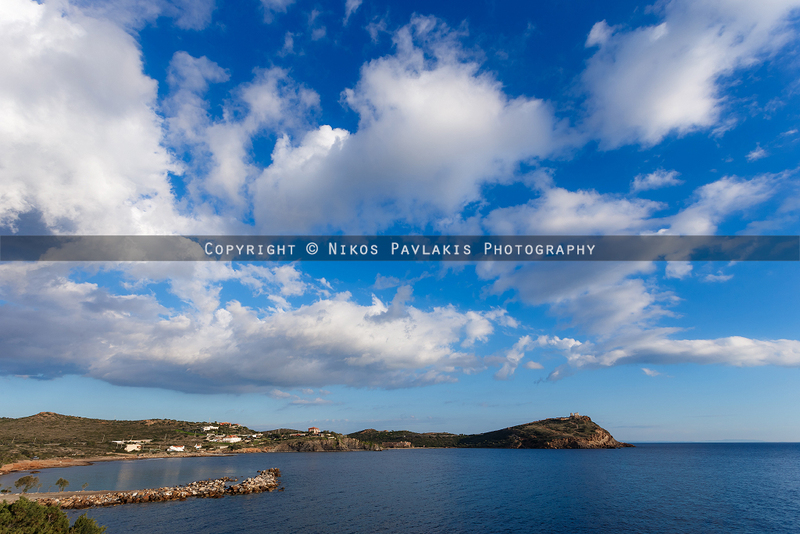 December 2014, Sounio, Attiki. Amazing clouds passing over the Temple Of Apollo. December 2014, Athens. The day was not over yet. 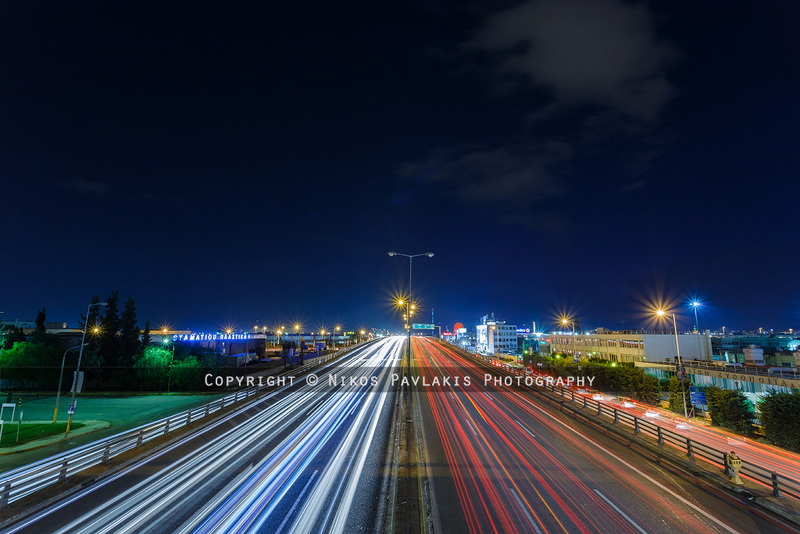 Car lights shot over Kifisos bridge in Athens. Long exposure shot. April 2015 near Leontari, Arcadia. 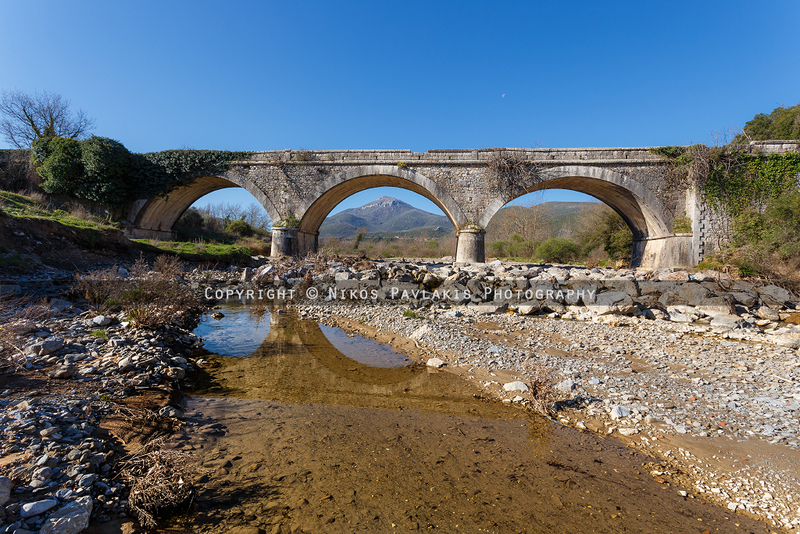 Karnionas (aka Xerilas) river bridge. 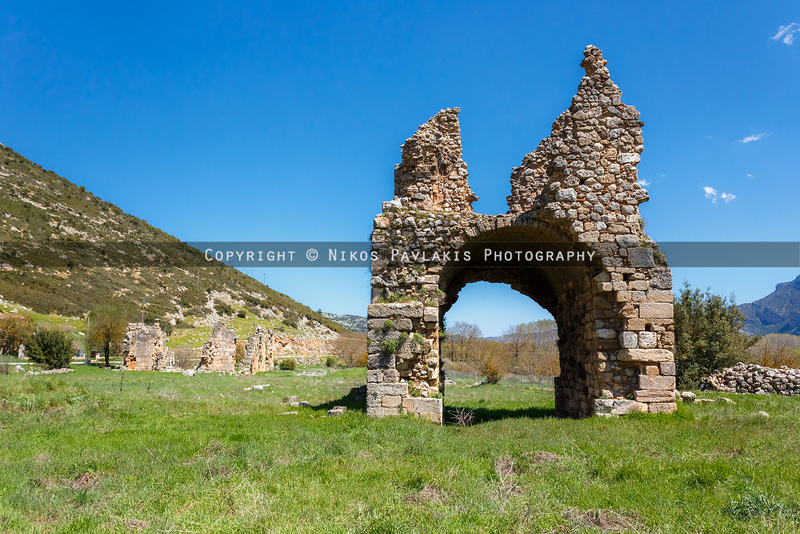 April 2015 Leontari, Arcadia. 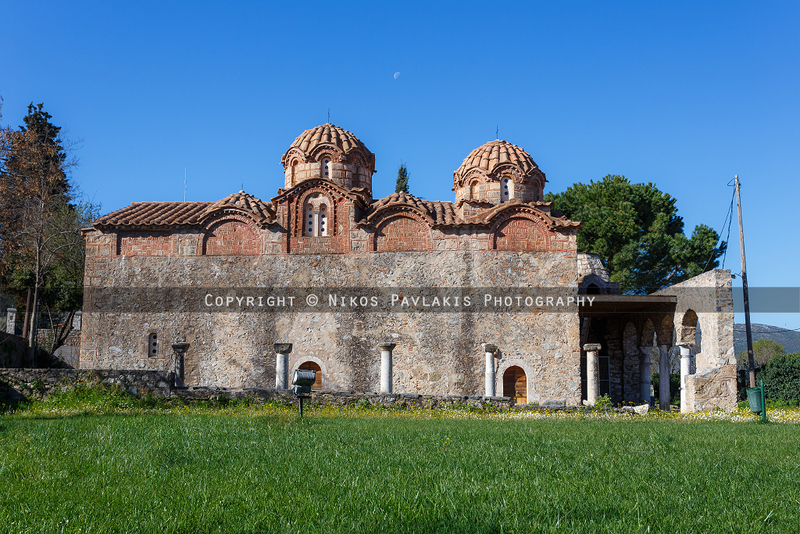 The Byzantine church of the Apostoles, 14th century, one of the finest in Greece. April 2015, Corinthia. 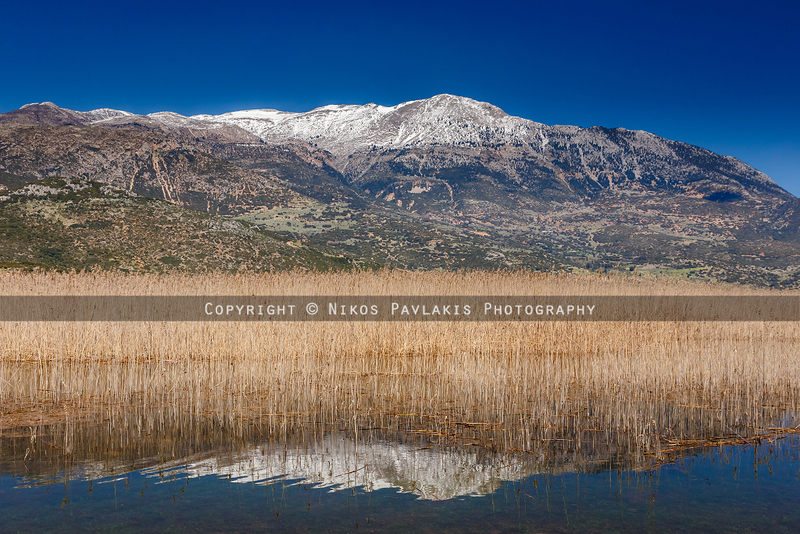 Stymfalia lake against the snowy Ziria mountain. Between these recent strong events of financial crisis, uncertainty and struggle for cash, there were a few days when everything was going relatively good to let my mind think artistically. 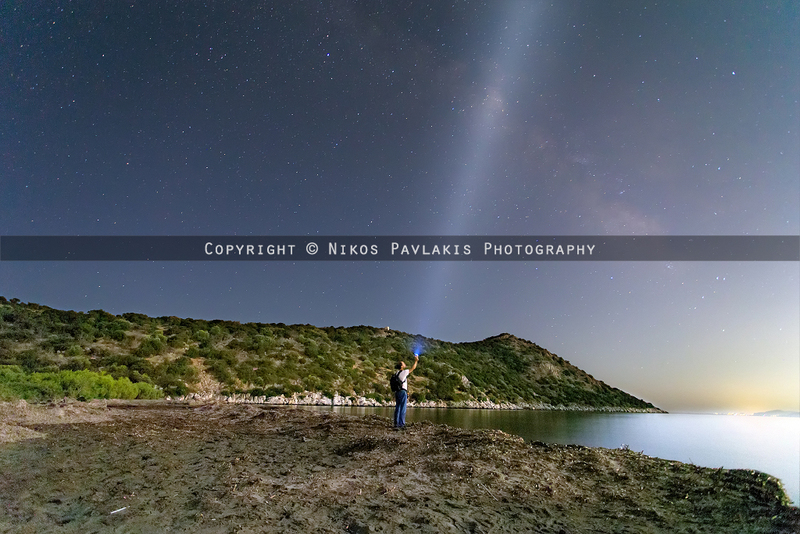 Although I didn't have the photograph production I had the last few summers, I managed to take some beautiful pictures on Loutraki (Ireo, Perachora), Aegina Island and I even experimented on Milky Way with very extreme settings I might say, photos that only recently I processed, with very high ISOs and newly acquired noise reduction techniques. ISO values went as high as 25.600 with most of the photos shot at 20.000, producing rather insane noise levels at full resolution. Despite the high ISO, I managed to lower the noise reproduction to a descent result when the photographs were resized to 1200 pixels and there was a limited amount of noise at full size, producing less softness on images (all things considered). July 2015, Schinias, Attiki. Kynosoura (Dog tail) shooting stars. August 2015, Charavgi village (near Sotirianika), Kalamata. 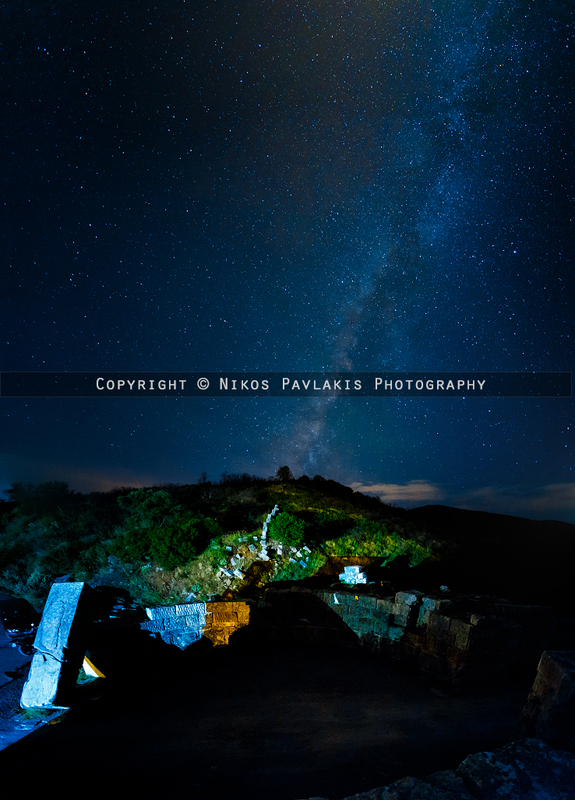 Milky way against Little Mantinia village. August 2015, Charavgi village (near Sotirianika), Kalamata. 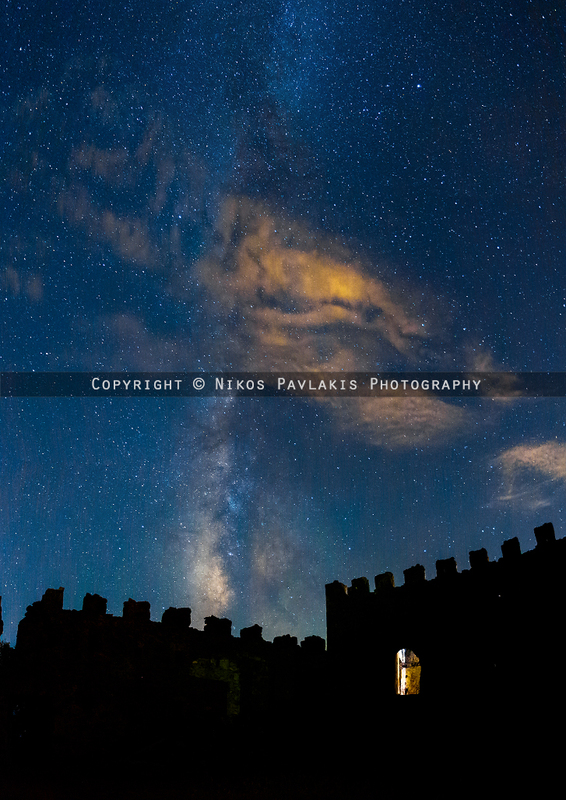 Milky way through Kapetanakis castle. August 2015, Charavgi village (near Sotirianika), Kalamata. 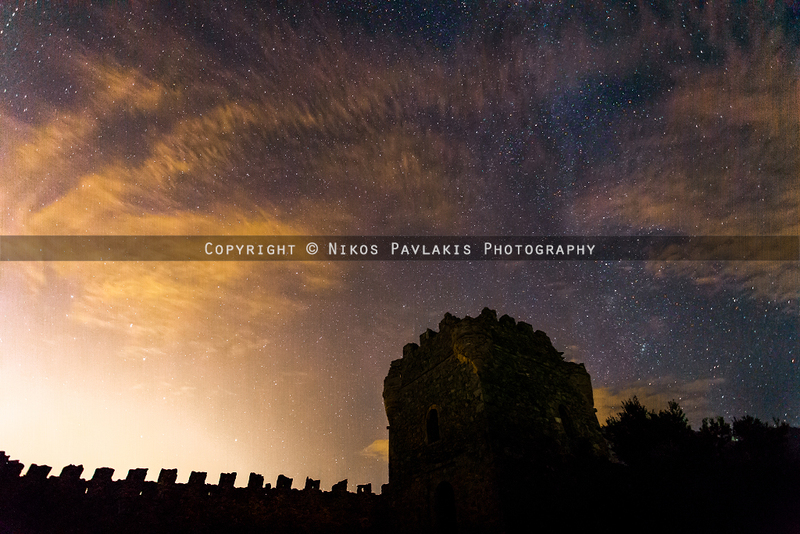 Stars and light pollution from Kalamata through Kapetanakis castle. July 2015, Schinias, Attiki. 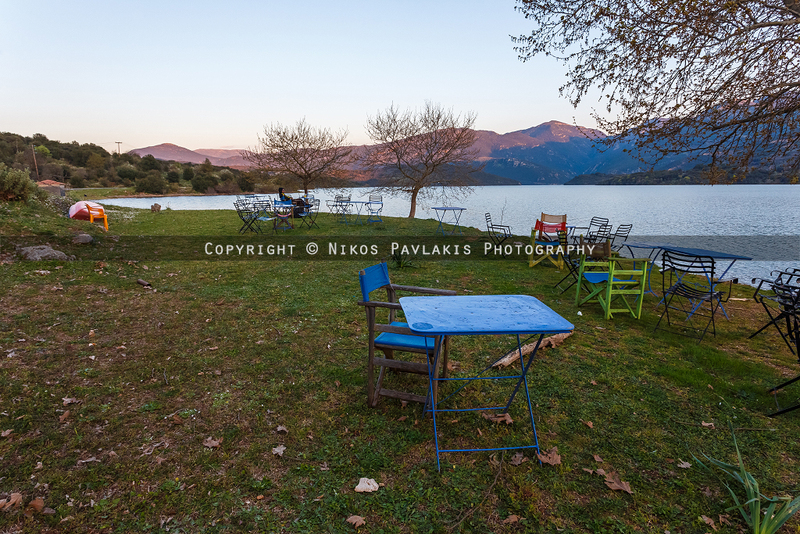 Kynosoura (Dog tail) just before the night falls, a small pond. 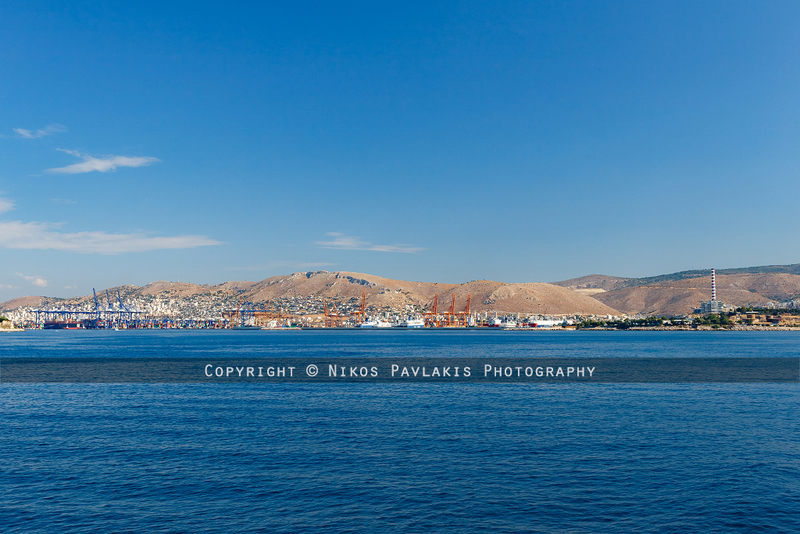 May 2015, Rafina port, Attiki. Back from mountain Ochi dragonhouses. 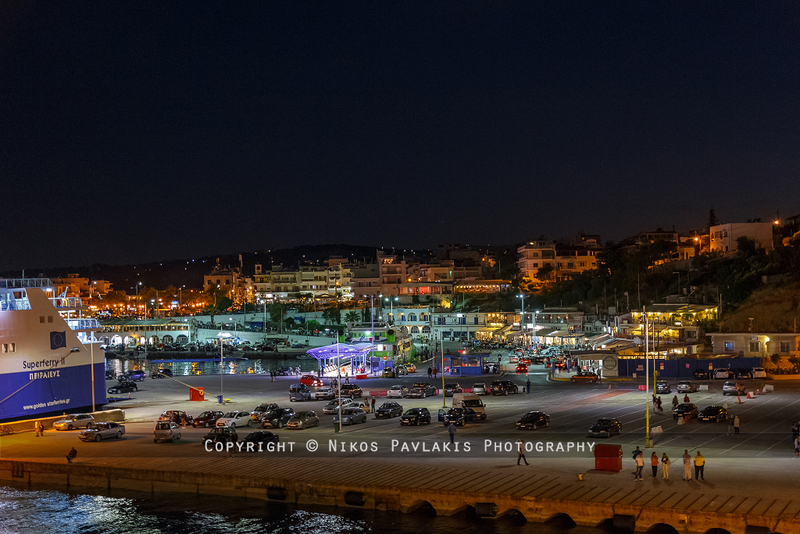 Rafina port at night. 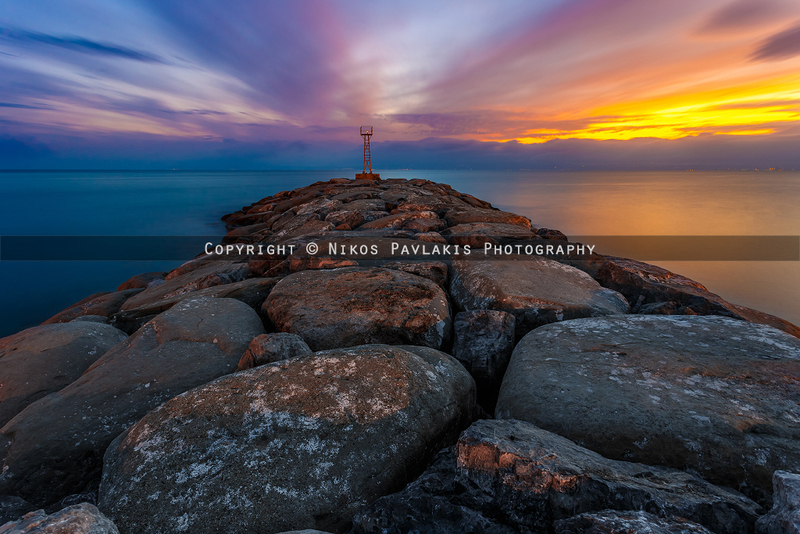 July 2015, Kalamata port, Messinia. Thomson Majesty cruise ship against a blue sky. August 2015, Skaramangas ship repair zone. 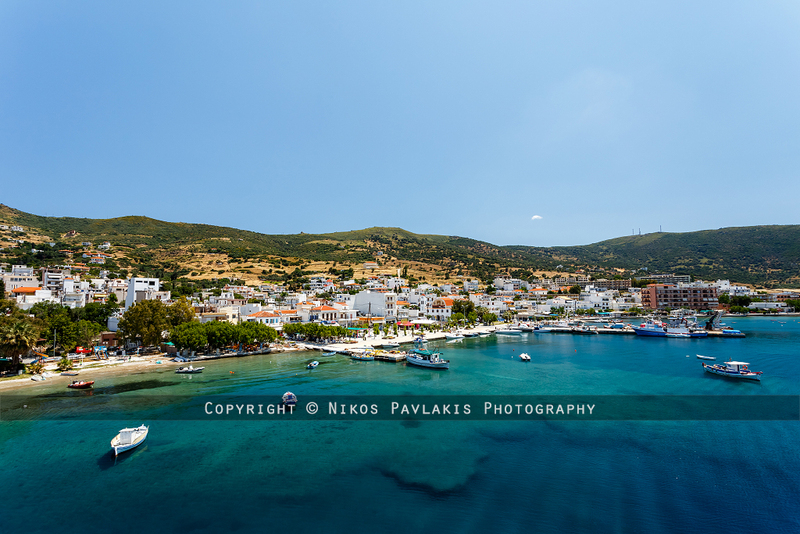 Leaving for Aegina. What mostly held me from processing and experimenting with these images, was various household repairs and computer malfunctions, including a couple of new computers that I had to build from scratch and install everything from the beginning on Windows 10, a project which was still in progress at the time of writing this and took me a lot of my valuable free time. 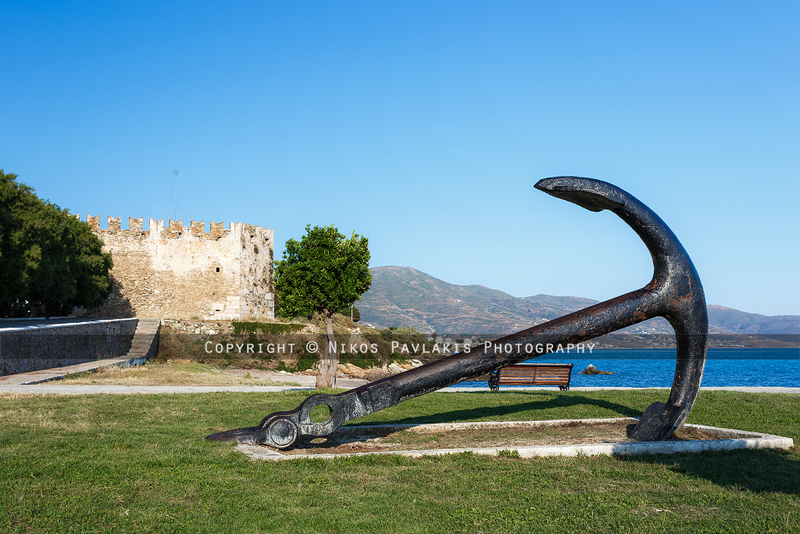 May 2015, Marmari port, Evia. 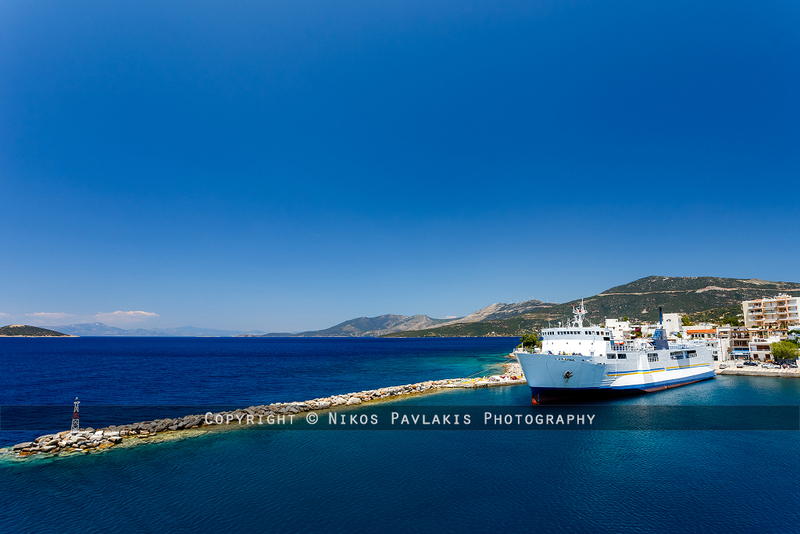 Anchored ship in Marmari port against blue sea and sky. 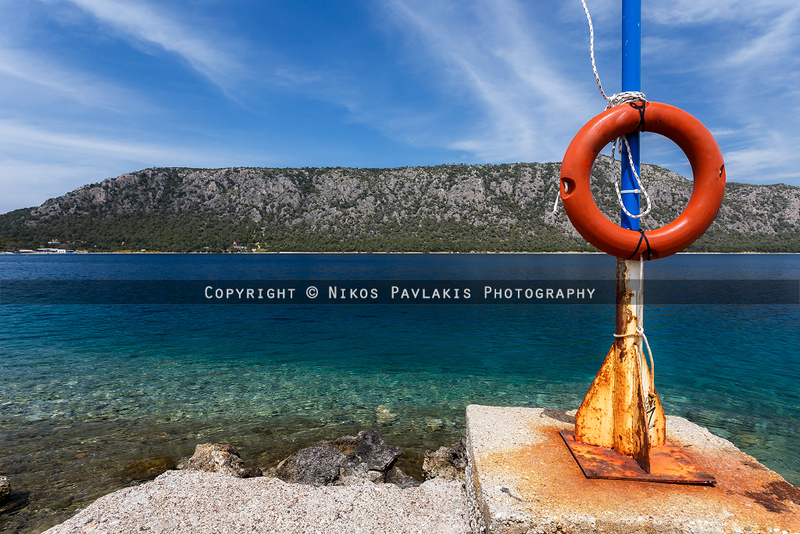 May 2015, Marmari port, Evia. Marmari village against blue sea and sky. May 2015, Evia, Greece. 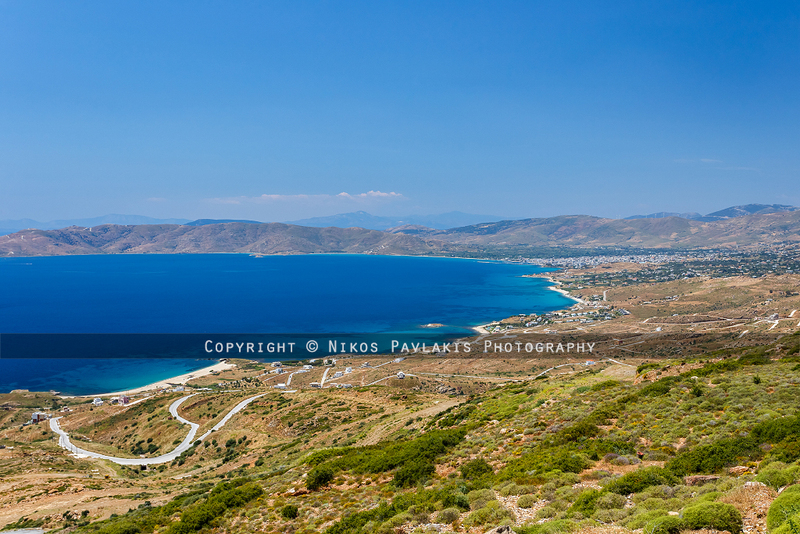 Karystos city in the distance against blue sea and sky. May 2015, Mount Ochi, Evia. The view from the top of mountain Ochi is breathtaking. 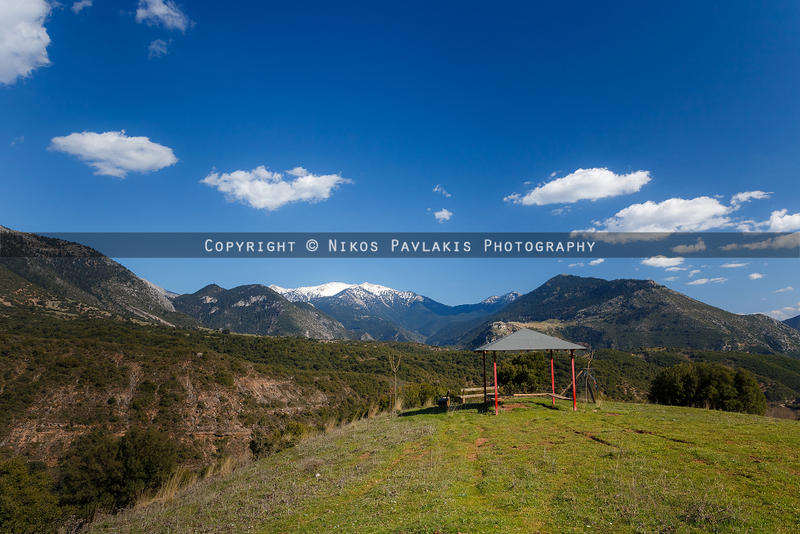 May 2015, Mount Ochi, Evia. The view from the top of mountain Ochi is breathtaking. Yes, I climbed the mountain with 15 Kg on my back! May 2015, Mount Ochi, Evia. The most famous dragon house on mountain Ochi. May 2015, Mount Ochi, Evia. 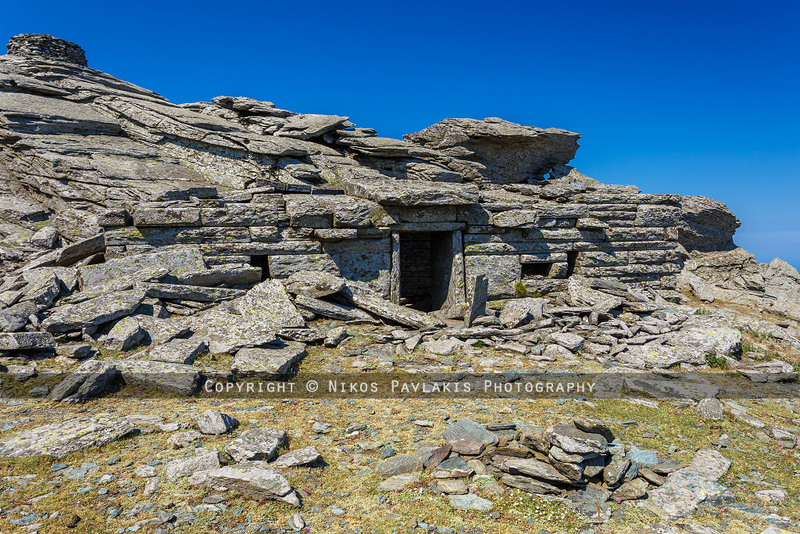 One of the constructures on top of mountain Ochi, now converted to Profitis Elias church. May 2015, Mount Ochi, Evia. The most famous dragon house on mountain Ochi shot from inside 5-shot DUAL-ISO panorama. Update: After 5 days, my tests and program updates were completed and I was ready to begin my tests. In these tests I developed a theory never tested before, which I need to apply to my next Milky Way shots. You see, all my post processing is based on ease of use, low file size and minimum use of Photoshop. With this new procedure I will have to shoot 3 times for the sky, auto align, produce an average result for the sky, subtract a (same iso, same duration) dark frame and shoot once more for the foreground. Then combine the two parts and the result "should" be a rather noiseless image, but with very high amount of detail. August 2015, Charavgi village (near Sotirianika), Kalamata. 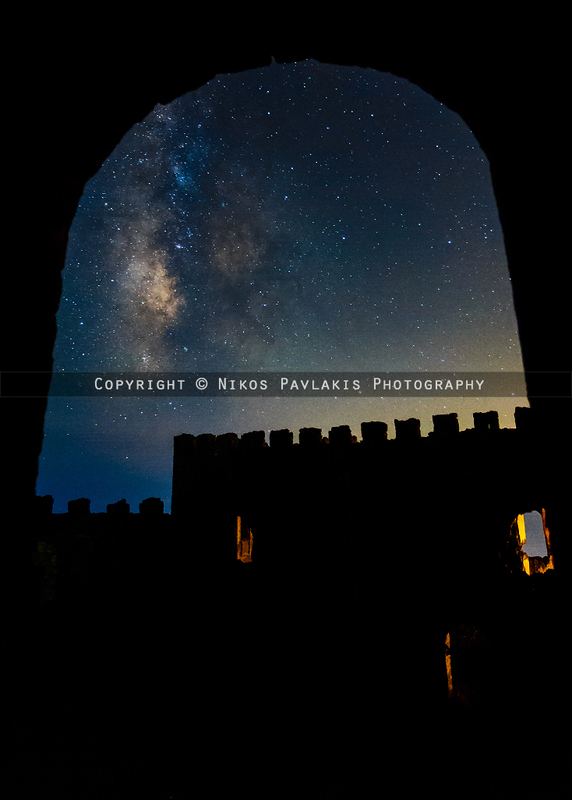 Milky way near Kapetanakis castle. 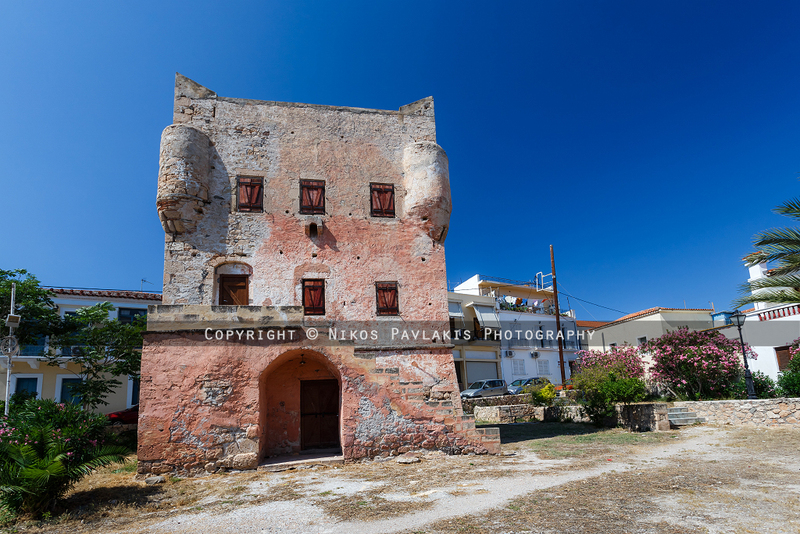 August 2015, Mavromati village, Messinia. 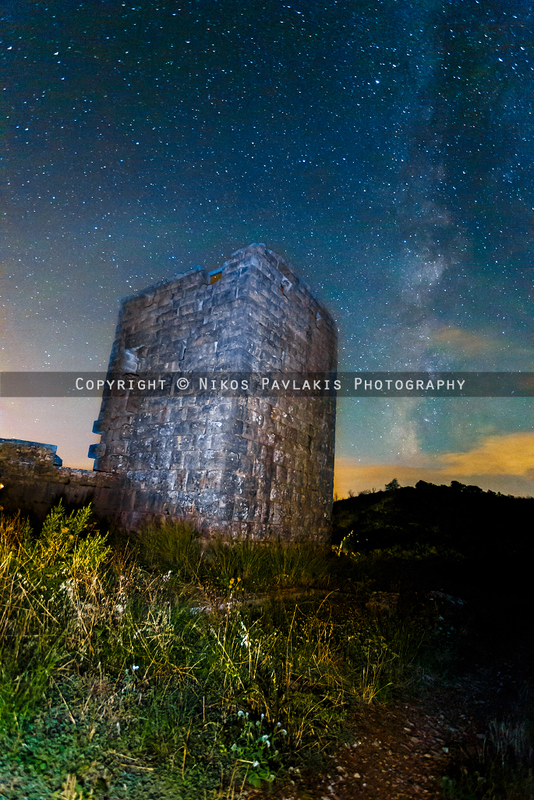 Ancient Messini tower walls against Milky way and stars. 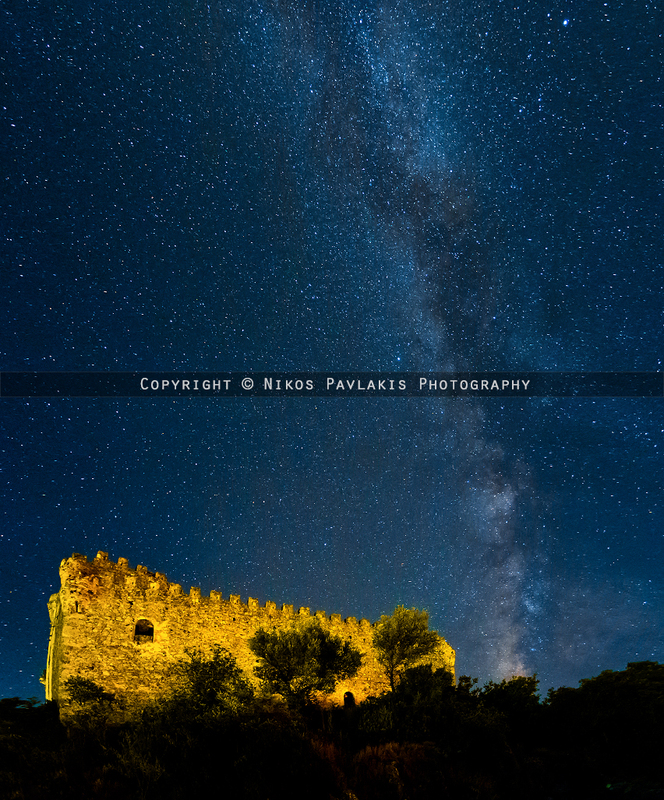 August 2015, Charavgi village (near Sotirianika), Kalamata. 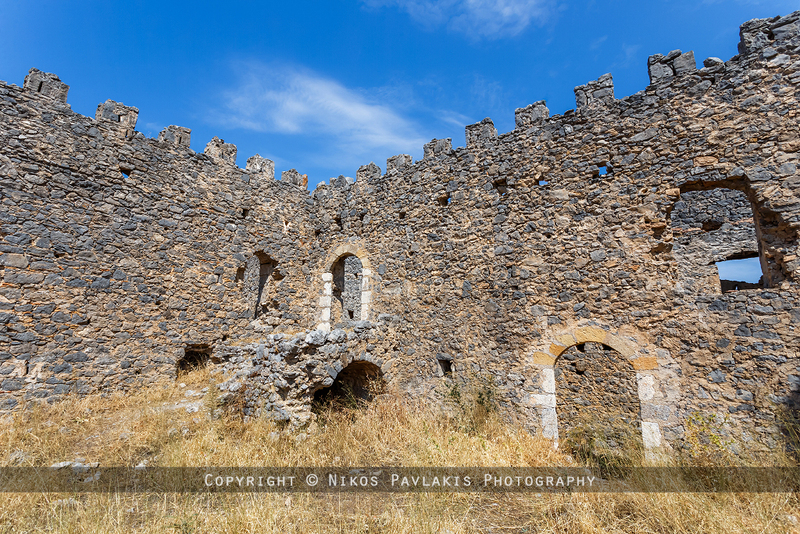 Kapetanakis castle ruins. 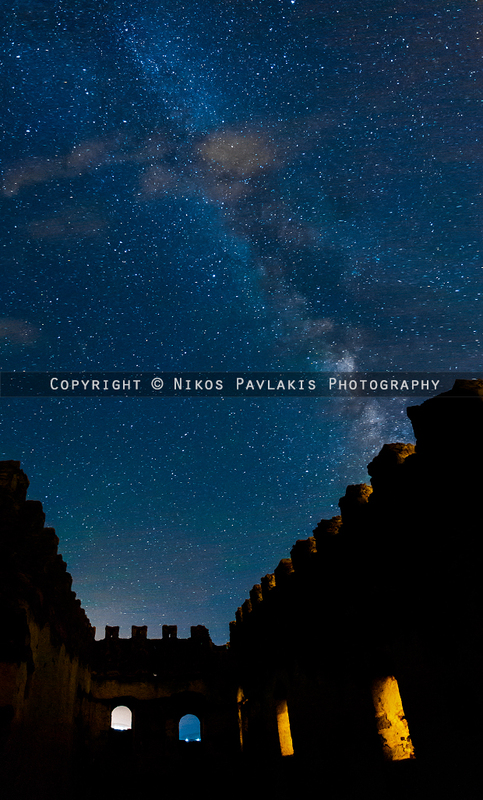 June 2015, Aegina, Greece. 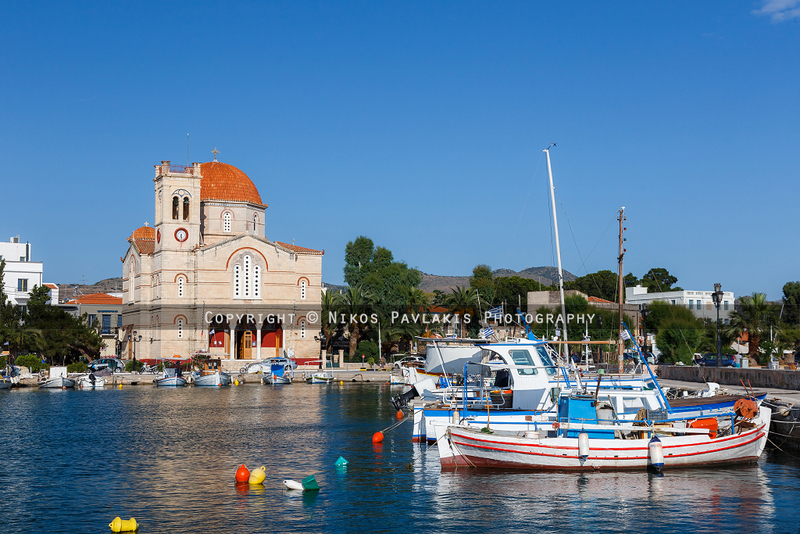 Fishboat harbor and the Theotokos church. June 2015, Aegina, Greece. Markelos' tower. 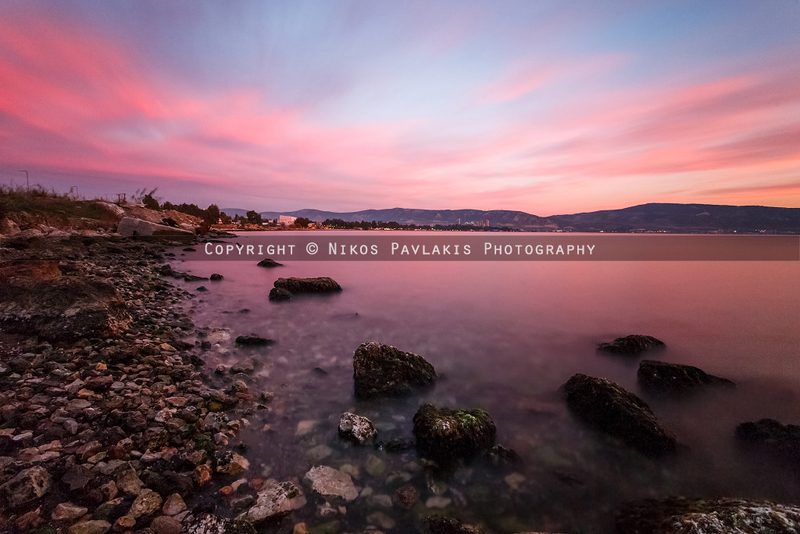 June 2015, Aegina, Greece. 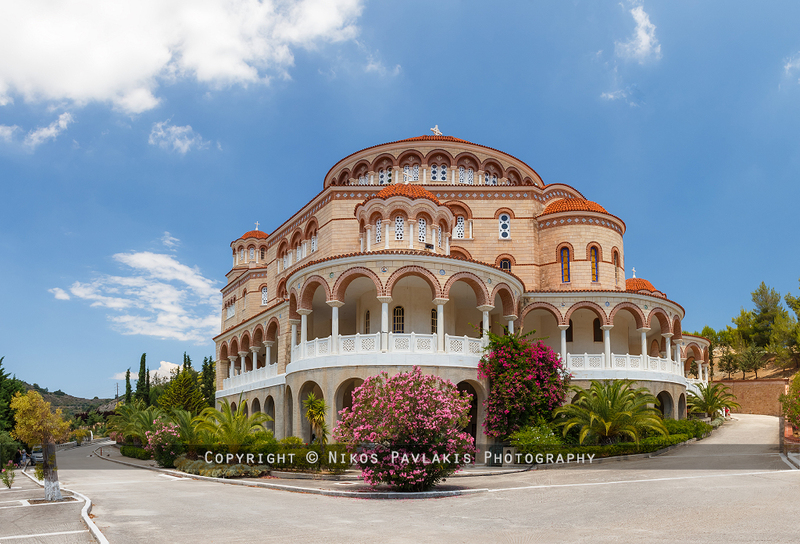 St Nektarios church 5 km from Aegina. 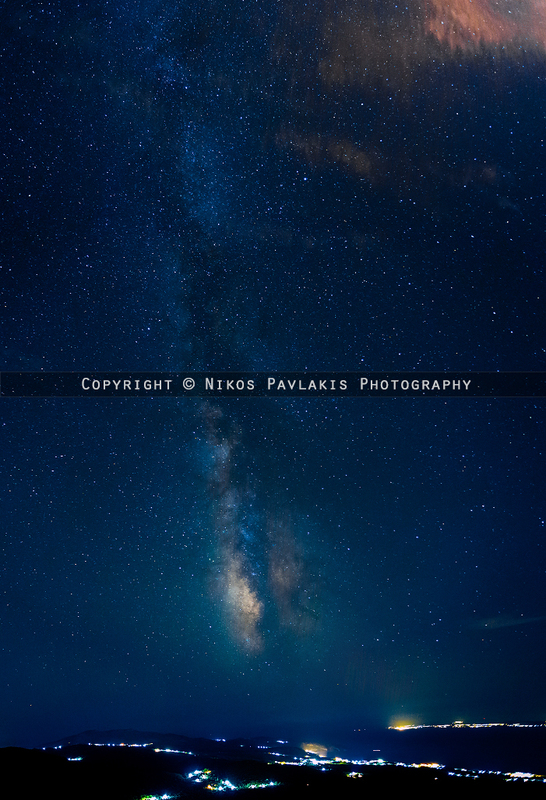 May 2015, Karystos, Evia, Greece. Bourtzi venetian castle. May 2015, Chalkida, Greece. 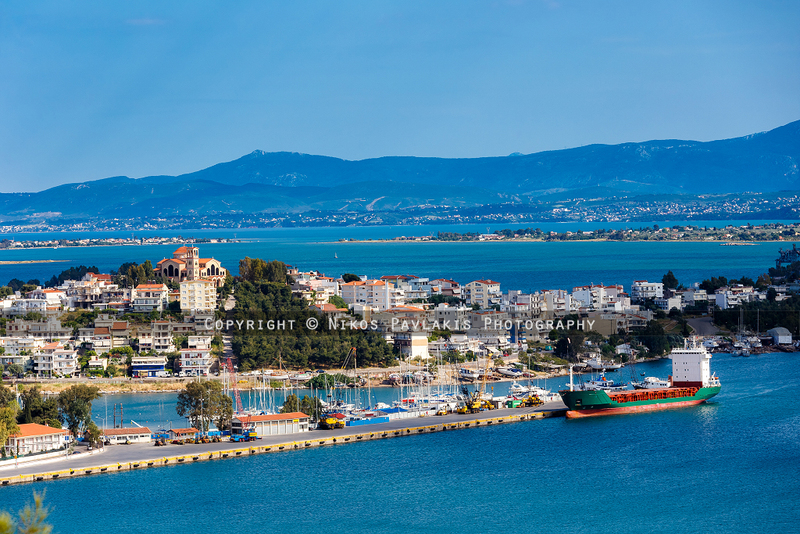 Chalkida city in the distance against blue sea and sky. May 2015, Chalkida, Greece. 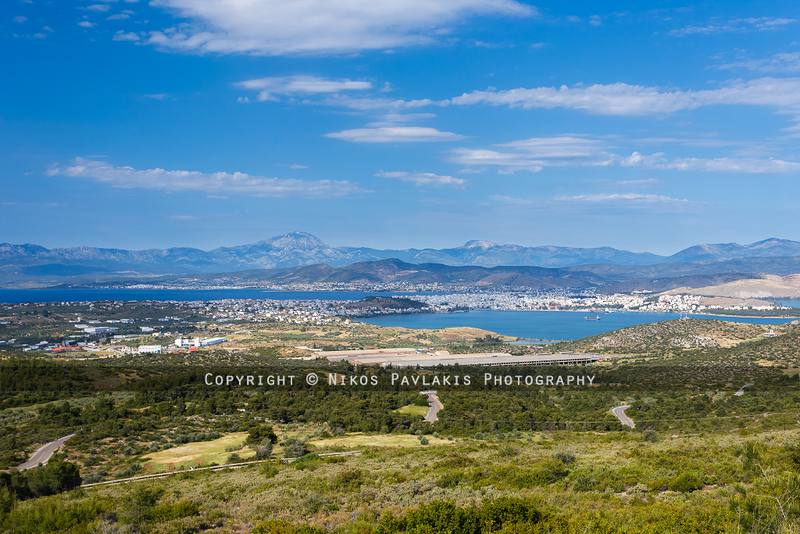 Chalkida city (Evia part) in the distance against blue sea and sky. 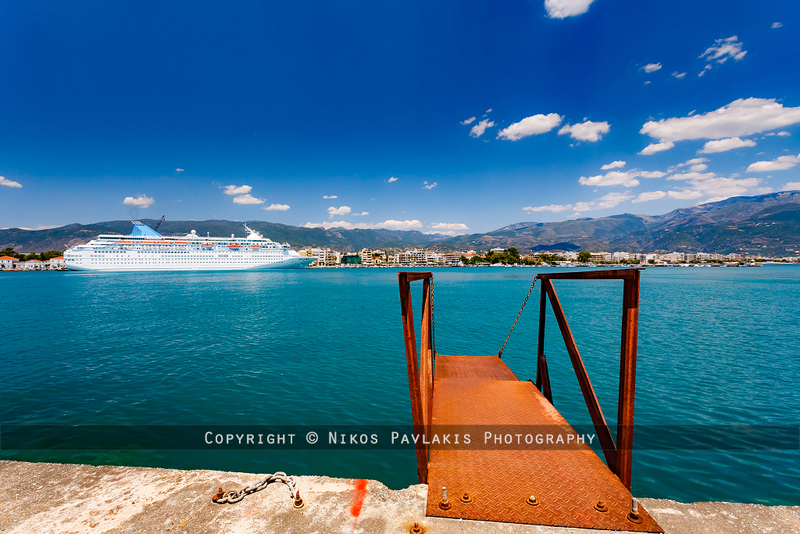 May 2015, Chalkida, Greece. 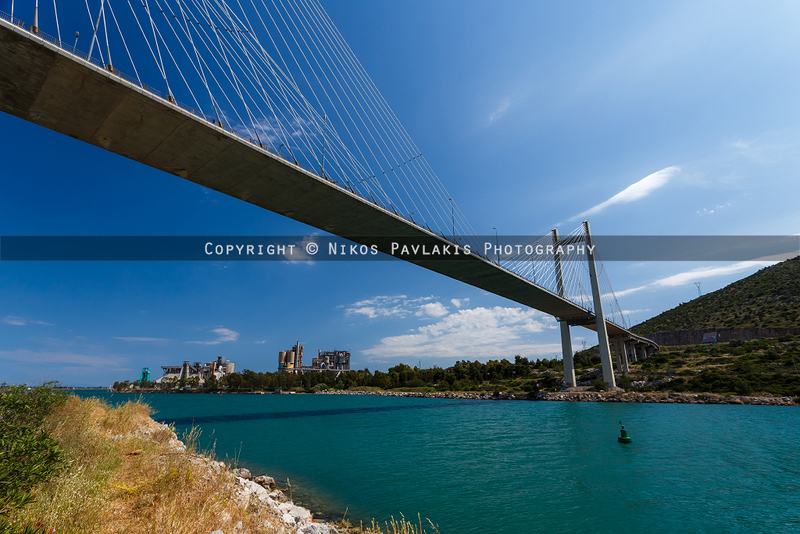 Chalkida new bridge against blue sea and sky. My other plans include the purchase of one amazing lens for my bag. I have to replace my Canon 17-40 f4 with the newest Canon 16-35 f4 which seems better in terms of build and visual quality. 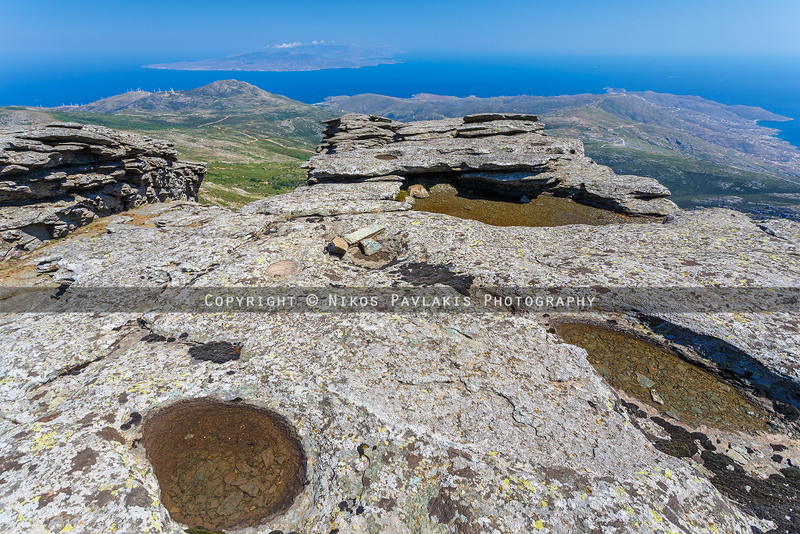 The Canon 16-35 f4 is extremely sharp ultra-wide angle zoom lens, it can take 77mm filters and has image stabilization! In addition, it is an internal focusing lens with FTM (Full Time Manual) focusing supported. The front part of the lens is not rotating, so you can use Circular Polarized filters with no problem. Read the very good review here. 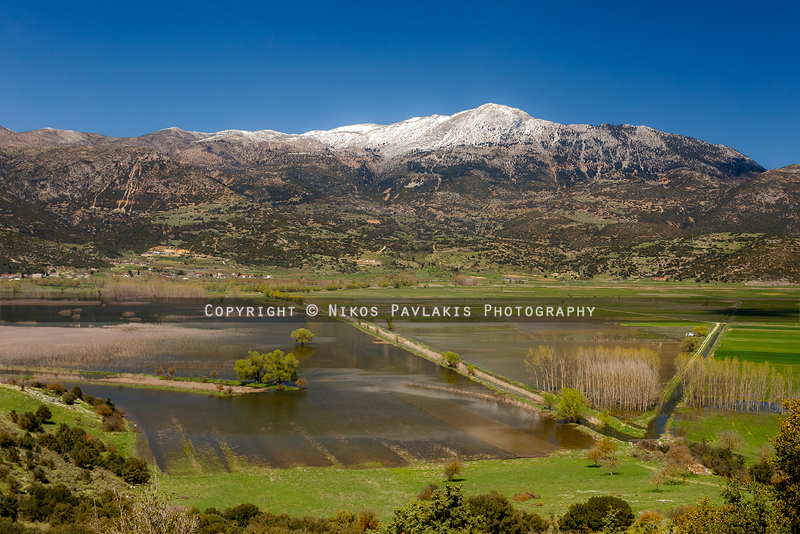 April 2015, Meligala, Greece. 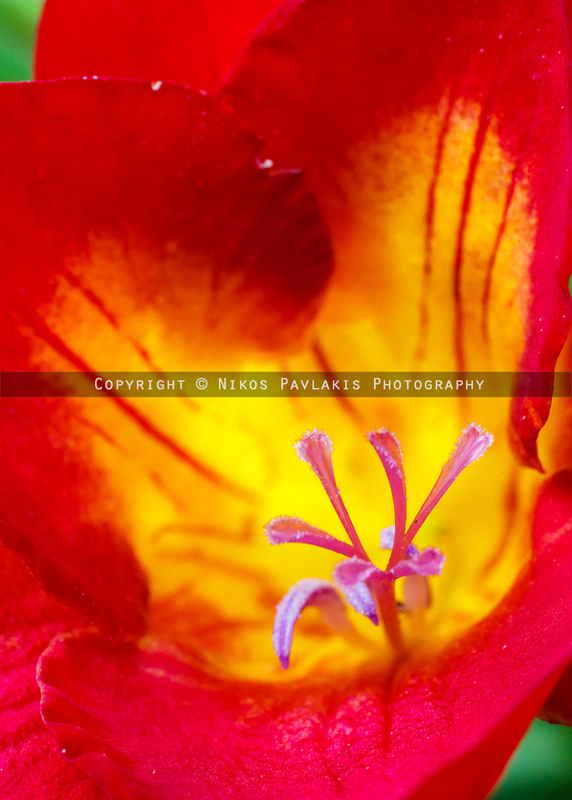 Macro shot of red flower in garden. Testing an old macro manual lens. 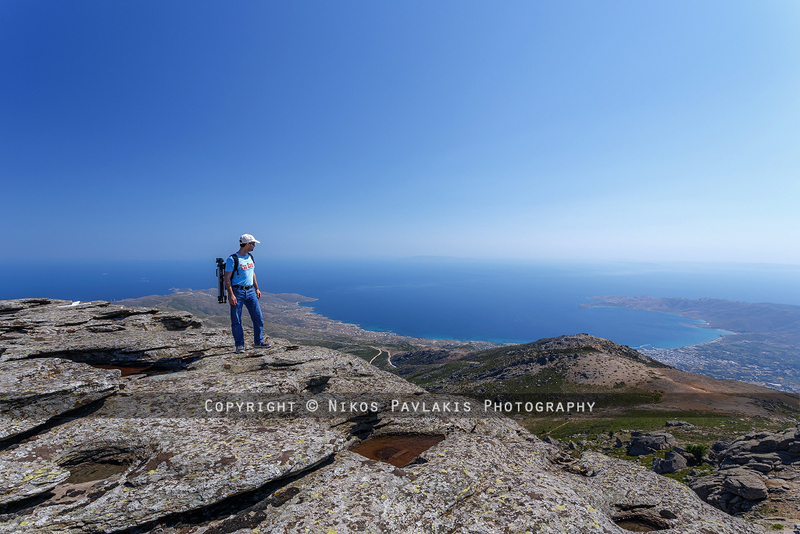 August 2015, Voulkanos mountain, Messinia. 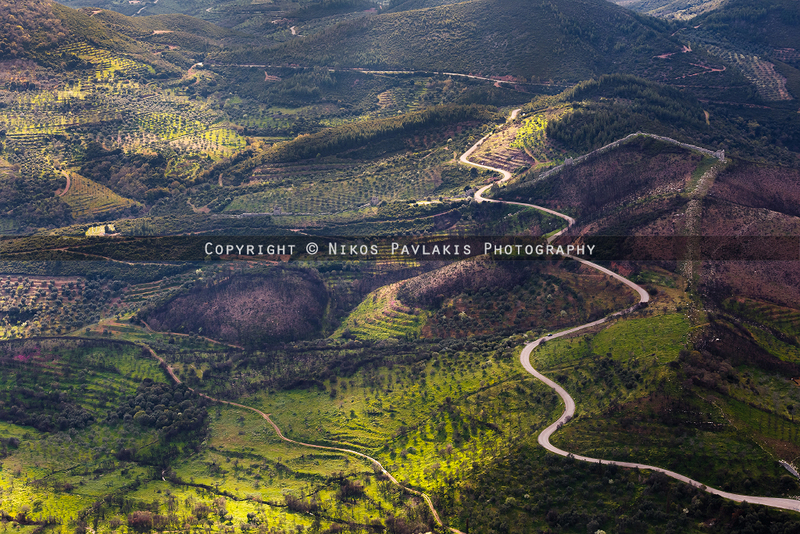 The snake-like road to Maganiako, against green vegetation and burnt fields. April 2015, Corinthia. 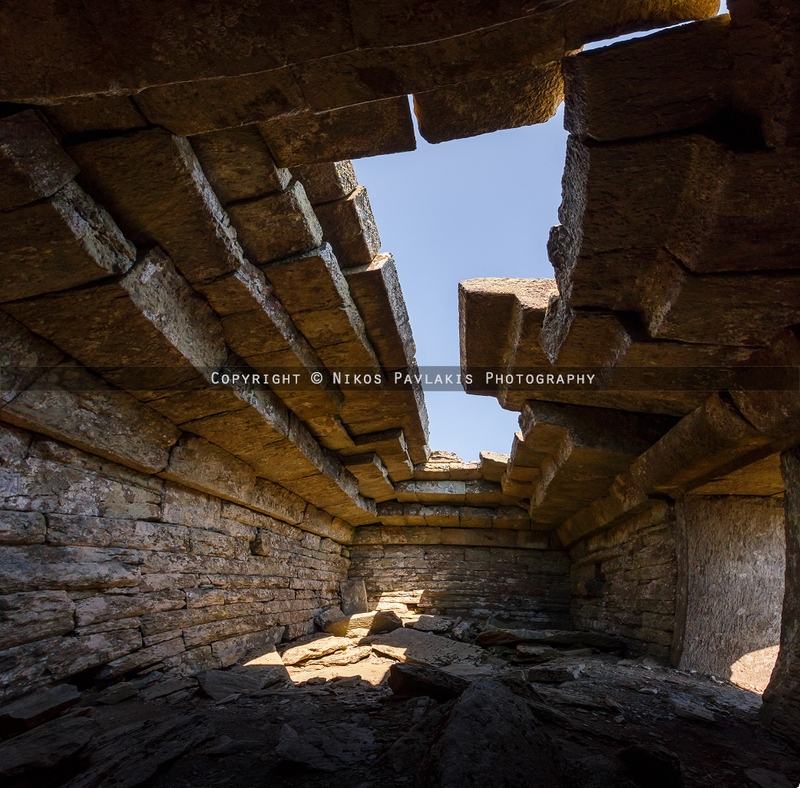 Zaraka monastery ruins near Lake Stymfalia. April 2015, Corinthia. 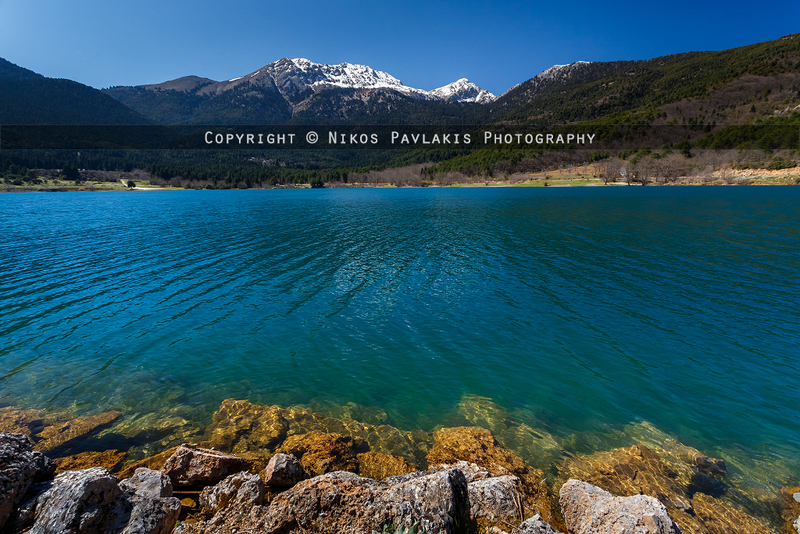 Doxa lake against the snowy Killini mountain. April 2015, Corinthia. 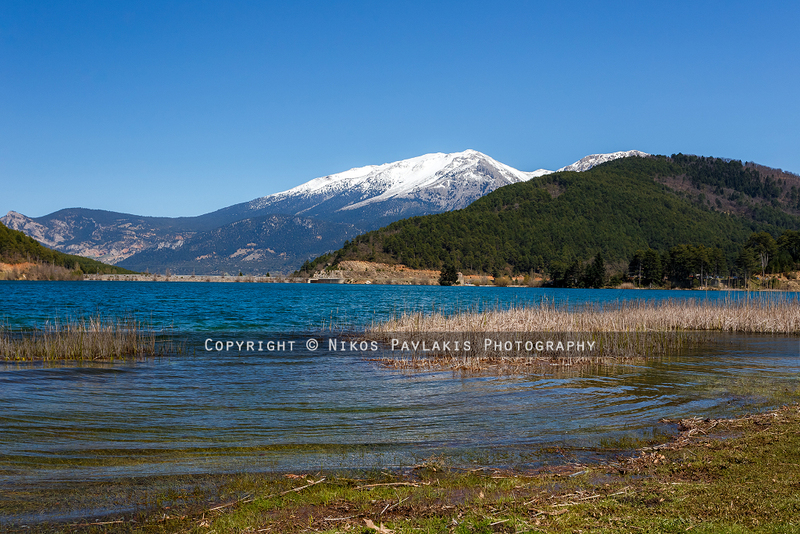 Doxa lake against the snowy Aroania mountain. 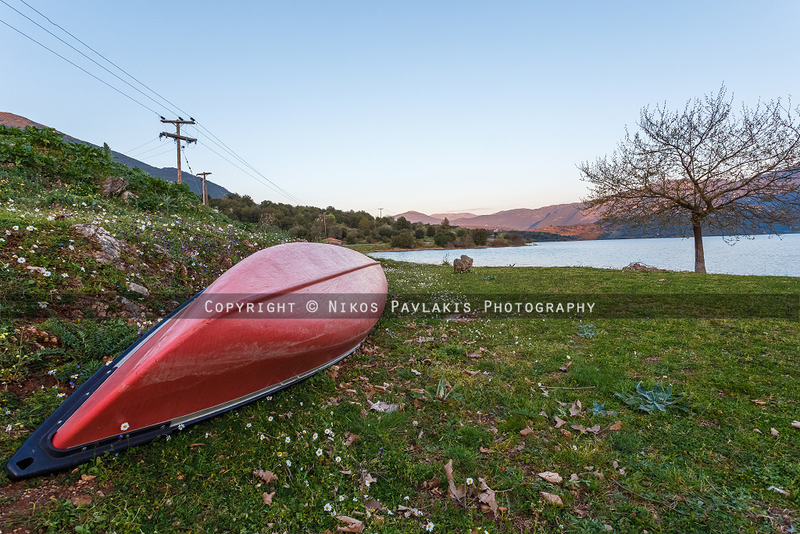 April 2015, Achaia. Kastria village Alps-like landscape. April 2015, Achaia. Ladonas river landscape. April 2015, Corinthia. Vouliagmeni lake near Loutraki. April 2015, Corinthia. 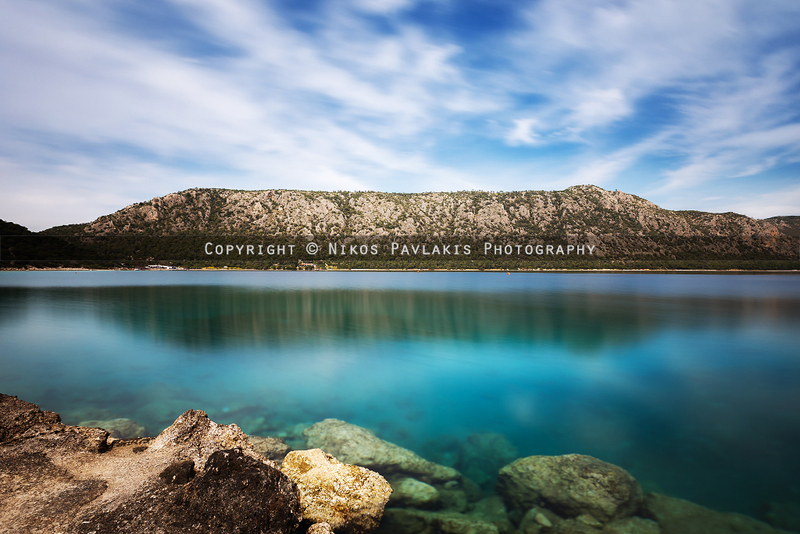 Vouliagmeni lake near Loutraki. 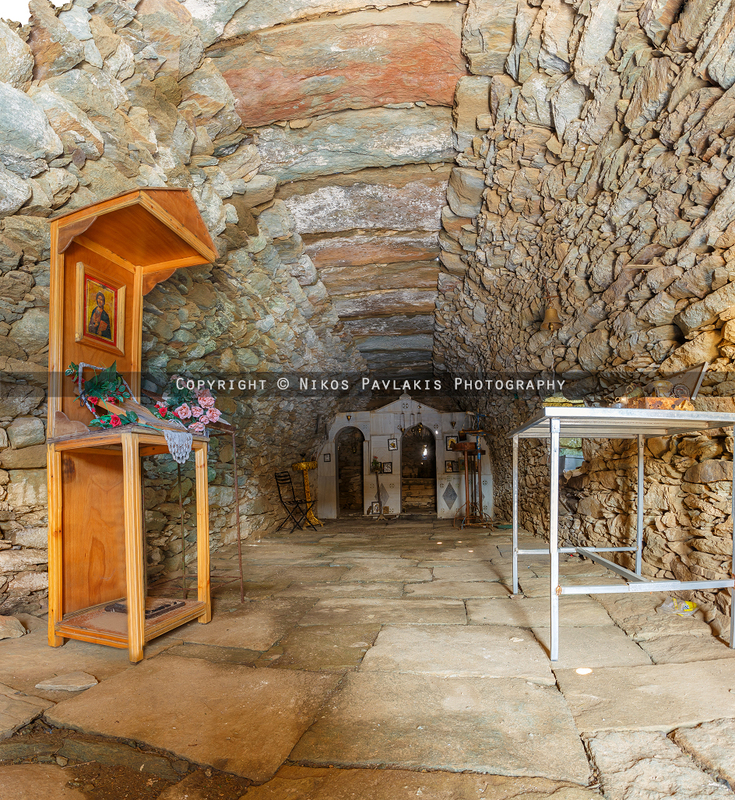 St Nikolaos chapel. April 2015, Corinthia. 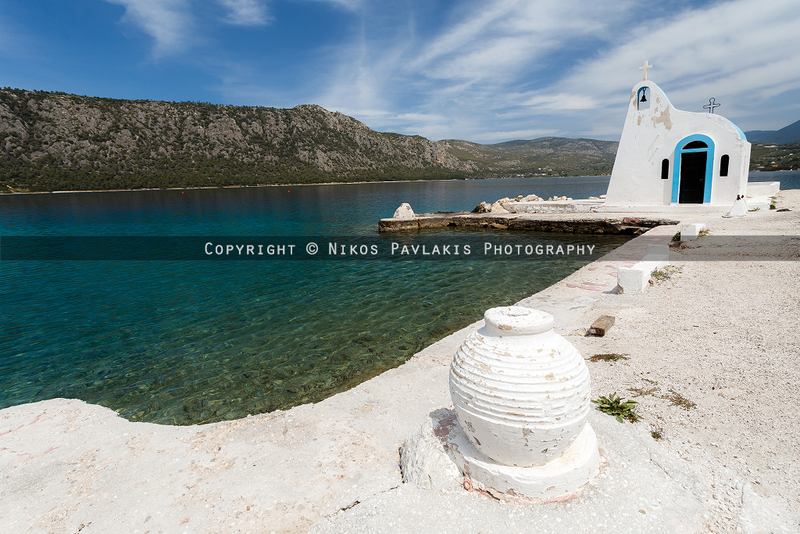 Vouliagmeni lake near Loutraki. 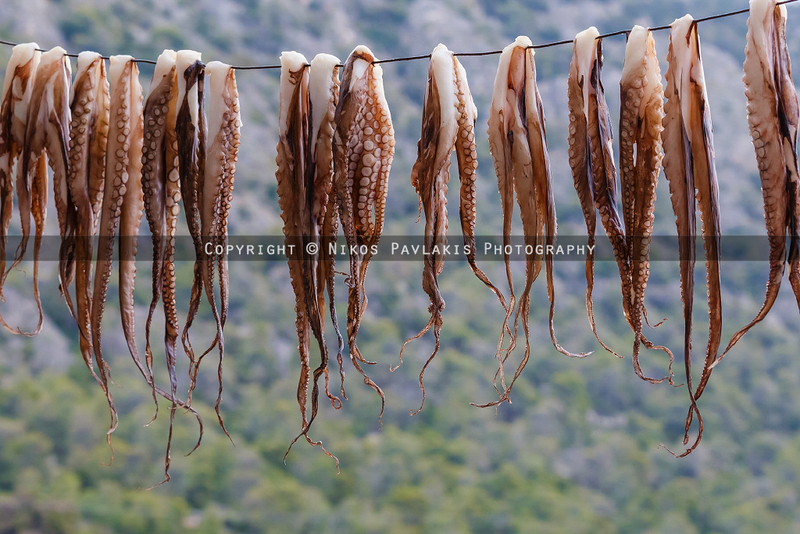 Octopus tentacles hanged to dry. As I said in the beginning, I am also planning on releasing Limited Edition Fine Art Prints in large sizes and you will read it here when everything is ready. I am also planning on releasing Limited Edition Office Calendars for next year based on my fine art prints selection that will mostly contain long exposure work. In addition to that, I will be releasing a photo collection (photobook) which will feature more fine art work, mostly long exposures taken throughout this year. I am counting on some positive feedback to keep me going for the following year and I hope I can keep this annual project going for many more to come. 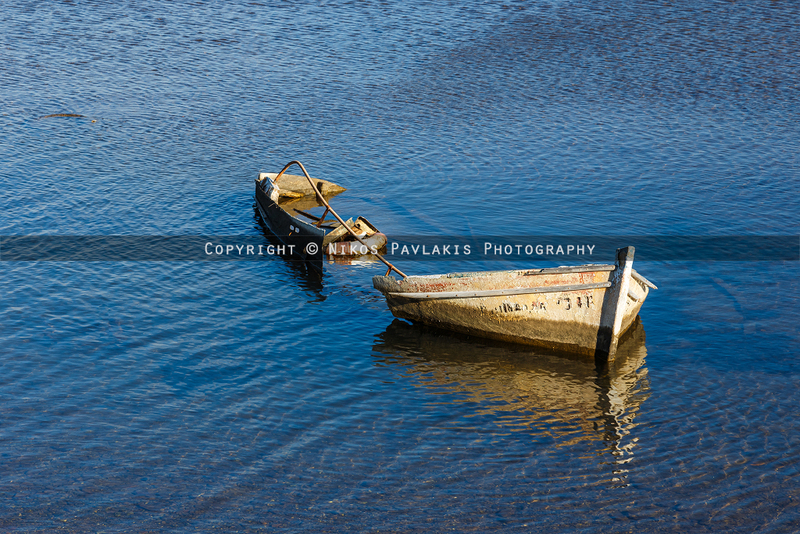 January 2015, Aspropirgos, Attiki. 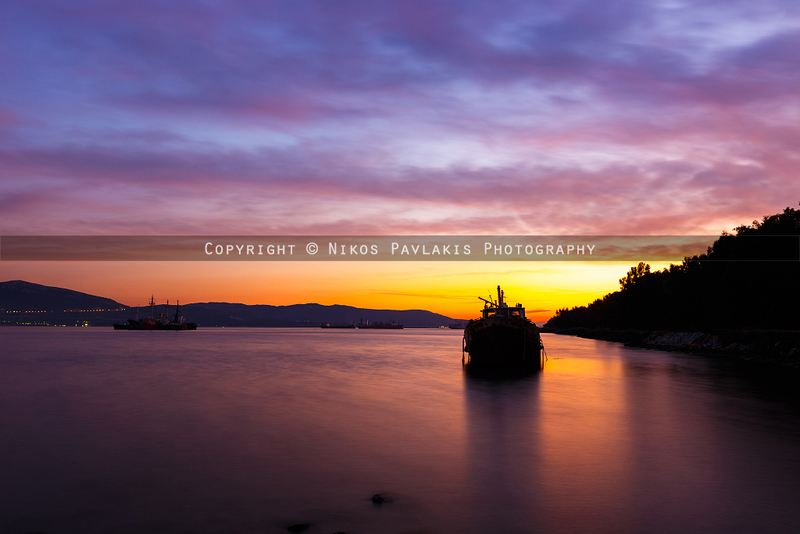 Abandoned fishboat against sunset. Long exposure shot. April 2015, Acroyali Avia, Messinia. Light beacon against afternoon light. Long exposure shot. January 2015, Aspropirgos, Attiki. Seascape against afternoon light. Long exposure shot. April 2015, Corinthia. 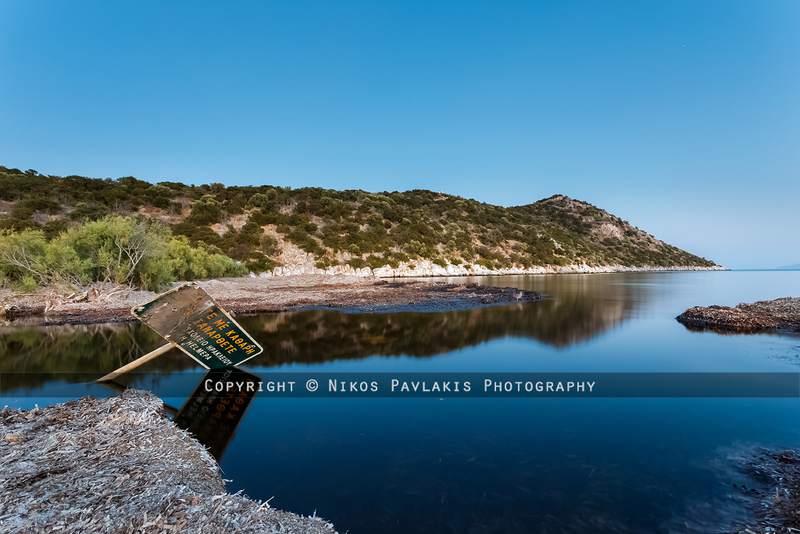 Vouliagmeni lake near Loutraki. Long exposure shot. April 2015, Corinthia. 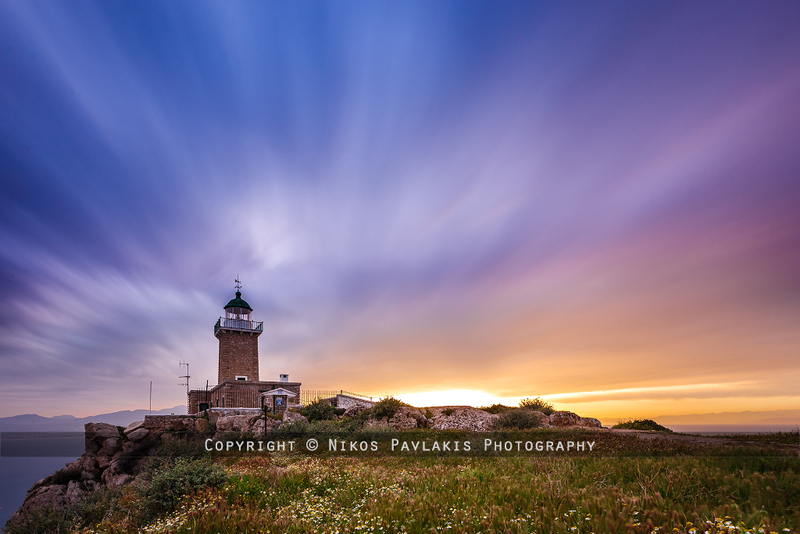 Ireo Perachoras lighthouse. Long exposure shot. 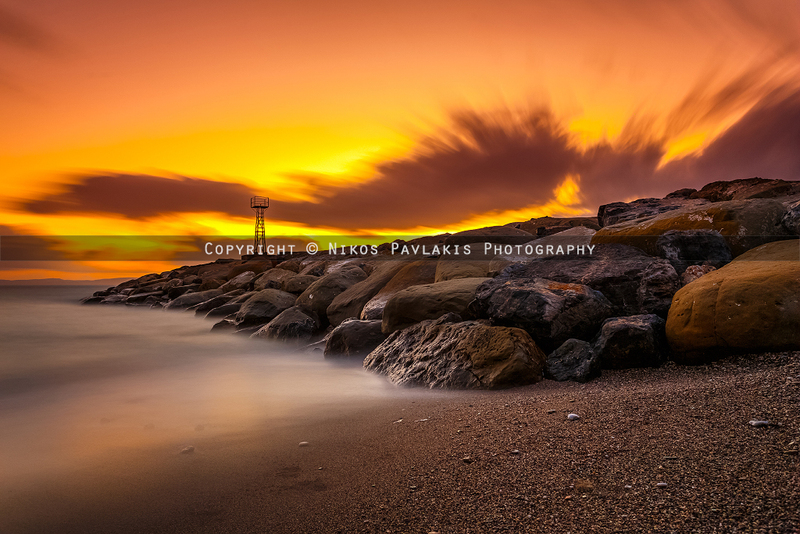 January 2015, Kalamata. Fishboat against sunset. Long exposure shot. December 2014, Saronida, Attiki. Seascape against sunset. Long exposure shot.